Home » JV States » 2016 JV Division 1 Championships! Interviews! Results! Videos! PICS!!! Race Interviews!! Race Videos Below!!!! 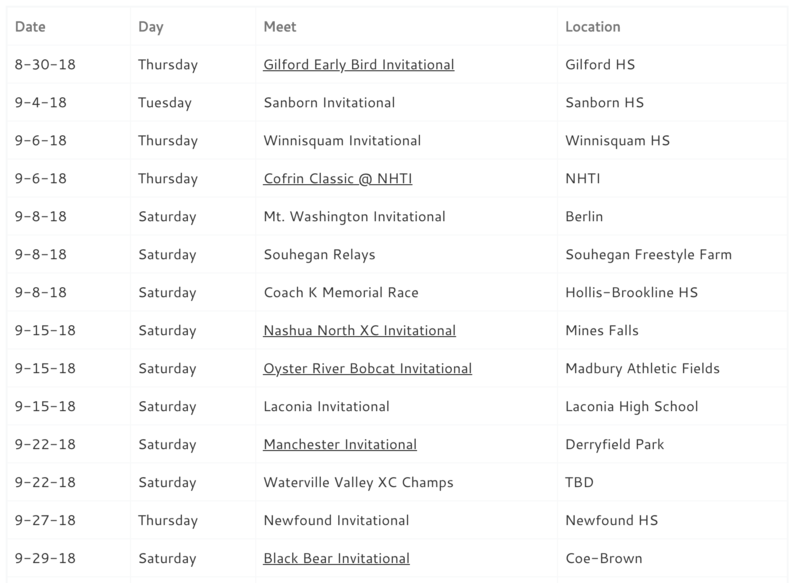 While other states and sports seem to run indoors when rain occurs, the harriers of NH seem to embrace it. Oftentimes, junior varsity athletes are the true lovers of our sport, and always their meets have the greatest of atmospheres! 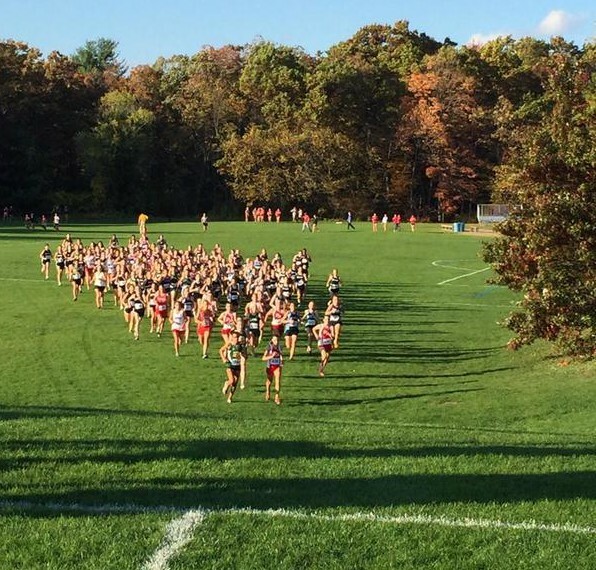 Division One JV State Championships at Mines Falls did not disappoint. 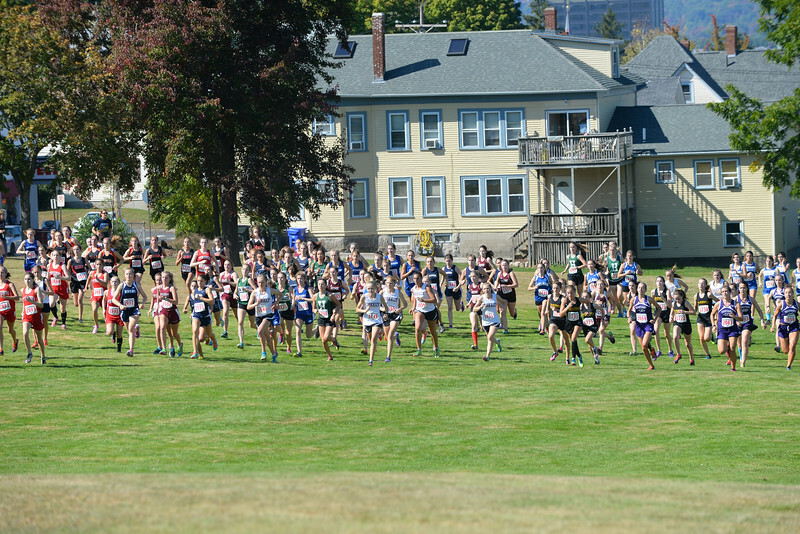 The Boys’ Championship Race started things off and once again Pinkerton dominated by taking 9 of the top 11 places accumulating only 20 points for the win. They were led by champion Ethan Desmarais, who won in 17:13, and runner-up Steven Groulx (17:21). Carter Letalian of Londonderry placed 3rd in 17:33 with Pinkerton’s Zachary Aham placing 4th with the same time and Londonderry’s Connor Keeley rounding out the top 5 in 17:41. Sporting a 14 SECOND PACK TIME, Keene placed an impressive 2nd with 60 points. Londonderry placed 3rd with 89 points, Nashua North was 4th with 123 and Alvirne was 5th with 158. On the girls’ side, it was also Pinkerton, making it an Astro sweep, but this was a tad bit closer than the boys, thanks to a spirited Merrimack team. 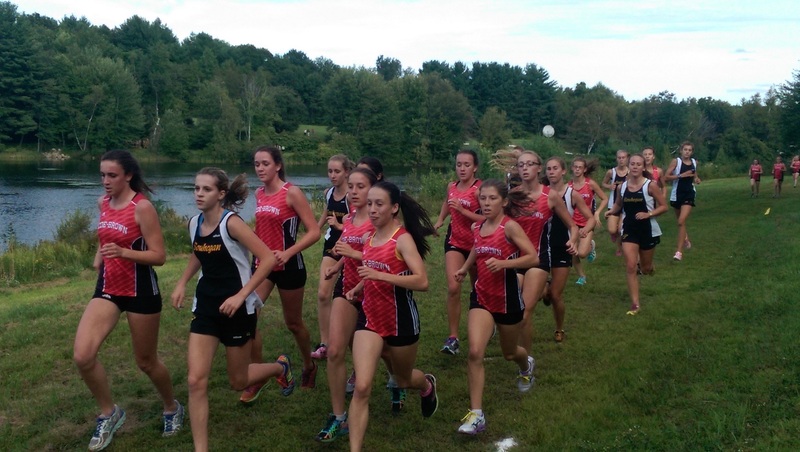 While Merrimack’s Kiara Bedard (1st, 21:09) and Mia DeMarco (3rd, 21:33) took the 2 of the top 3 places, Pinkerton countered by placing 4th-6th with Samantha Mangano (21:41), Sarah Gates (21:49) and Gately Beckman (21:55). Merrimack fought back taking 7th and 8th with Abby Fay (21:56) and Siaoli Wright (22:00), but Pinkerton sealed the deal by taking 9th with Rachel-Marie Zarba (22:04) and 10th with Maddie Burke (22:24) to win 34-45. Bedford, led by Kaitlyn Boles (2nd, 21:19), placed 3rd with 86 points while Alvirne place 4th with 116. Londonderry rounded out the top 5 with 154. Previous post 2016 Capital Area Championships: Results, Recap, Pics! Next post Senior to Freshman: Londonderry’s Cam Dickson!